Judge Don Ash and Judge David Bragg are among the nearly one dozen faculty members that are active or retired judges. Judge Bragg is also one of the 100 living alumni who sit or have sat on the bench in Tennessee. Judge Don Ash is a senior judge for the state of Tennessee and has taught Civil Procedure at the School since 2009. He is a member of the Rutherford and Cannon County Bar Association, and previously served 18 years as a circuit court judge in the 16th Judicial District, which comprises Cannon and Rutherford counties. He is a faculty member at the National Judicial College. “Nearly 1,000 law students have benefitted from Judge Ash’s expertise and experience in the classroom. We’ve been honored to have him be a part of the School,” Dean William C. Koch, Jr. said. Judge Ash said teaching at the School has been a learning experience for him. “The friends I have made at NSL have truly been a blessing in my life. My amazing students have impacted me as a judge and a man. I have learned so much from the faculty and the students,” he said. Ash is a graduate of Middle Tennessee State University and earned his law degree at University of Memphis. He also holds a master’s degrees in judicial studies from University of Nevada, Reno. Judge Bragg, a 1994 graduate of the School, has taught Sales and Secured Transactions since 2014. A lifelong resident of Rutherford County, he has served as a circuit court judge in the 16th Judicial District for 10 years. Judge Bragg earned his undergraduate degree from University of Tennessee and a master’s from Middle Tennessee State University. He is a member of the Andrew Jackson Inns of Court and Rutherford and Cannon County Bar Association. Filling the roles left behind by Judge Ash and Judge Bragg are Chancellor Anne Martin and M. Clark Spoden. Chancellor Martin will start teaching Sales and Secured Transactions in the fall of 2019 and Spoden will add the Civil Procedure class to his current responsibilities teaching Remedies to third-year students. Chancellor Martin was elected to the Davidson County Chancery Court in 2018. She earned a Bachelor of Arts Degree from Smith College and her Juris Doctorate from Vanderbilt University School of Law. 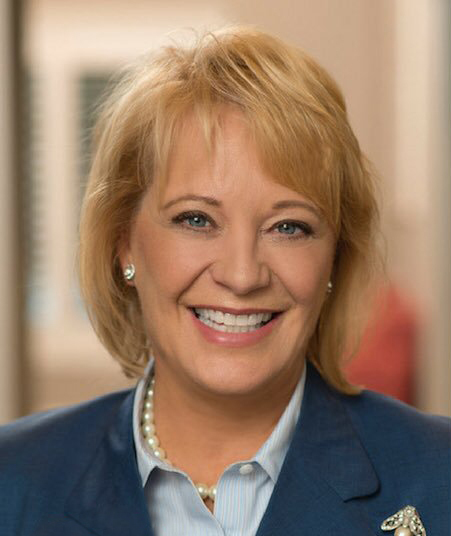 Chancellor Martin began her practice with the law firm of Dodson, Parker & Behm, P.C., then later joined the law firm of Bone McAllester Norton PLLC, where she concentrated her practice in the areas of commercial litigation and employment law. “I am honored to join the distinguished faculty at Nashville School of Law and help educate the next generation of Nashville lawyers,” Chancellor Martin said. She is also an adjunct professor at Belmont University College of Law, where she teaches a course in client counseling. Spoden is recognized in Tennessee as a Specialist in Civil Trial and Pre-Trial Advocacy as Certified by the National Board of Trial Advocacy. He practices in the Business Litigation and Labor & Employment Law service groups at Burr & Forman LLP. Clark is an Administrative Law Judge for Nashville Electric Service. He has taught Remedies at the Nashville School of Law since 2003. In 2008, Clark began publishing for his students his own textbook, titled Remedies Readings. In addition, Clark is a frequent lecturer on trial practice and employment law. “Civil Procedure is the formative class for all trial lawyers, and I am honored to serve the School and the bar by teaching future lawyers this vital subject,” Spoden said. Civil Procedure is a required second-year class at the School; Sales and Secured Transaction are both required for fourth-year students.